← Won’t get fooled again? The UK National Archives have released the single largest collection of UFO files so far as the three year disclosure programme nears its end. Included in the 8,500 documents opened to the public today are policy and intelligence documents covering a 60 year span from the 1950s almost to the present day. The 35 files include papers produced by the Ministry of Defence, the Foreign and Commonwealth Office, the Home Office and United Nations. And for the first time complete files covering my own protracted correspondence with the MoD are included in this release – with more to follow later this year. They chart in great detail my campaign, using Code of Practice legislation (a precursor to the Freedom of Information Act), to persuade the MoD to end the unnecessary secrecy that surrounded official interest in ‘UFOs’. Two files released today document how I became one of MoD’s most “persistent correspondents” from 1999 (see DEFE 24/2030/1 and DEFE 24/2032/1). They also underline how it was largely through my efforts, and those of my colleagues, that some of the key UFO documents held by the UK Government, including the file on the Rendlesham Forest incident and the report by the Flying Saucer Working Party, were released to the public. In my current role as official consultant to The National Archives UFO project, I have again produced a detailed highlights guide to the 7th tranche of files, which cover the years 1997-2006. The transfer programme, now in its fourth year, is expected to reach completion during 2012. The new files can be downloaded free of charge from the TNA website here. The TNA UFO page also includes a podcast and background briefing to the entire collection of UFO files held at the UK archives in Kew, Surrey (for more details read my book The UFO Files published by The National Archives in 2009). 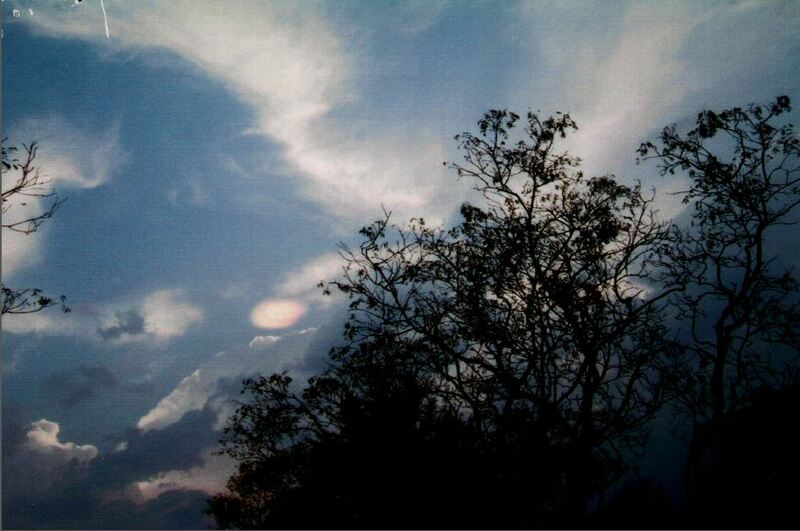 One of the highlights from the UFO reports released today are two striking colour photographs of a strange “atmospheric occurrence” (pictured right) taken by a member of the RAF in 2004. The photographer was on holiday in Sri Lanka when he heard a clap of thunder. Then he saw a doughnut-shaped cloud in the sky that “did not rise but headed from the high atmosphere towards the earth” (see DEFE 24/2036/1). To supplement the official highlights guide available at the TNA UFO page I have added my own detailed interpretation of the files on a separate page here. New readers should also visit my Secret Files pages for detailed discussions of key themes including Defence Intelligence UFO research and the Rendlesham incident. Found the information released to be not that great. But if your interested in the subject visit this blog below which has some of the greatest information on UFOs ever released there are loads of videos. Bookmark the page as there is so much information. i wonder if you could help, I’ve done a little research and cant seem to find any pictures or other reference to my story anywhere. Roughly 15-16 years ago I was travelling in North Wales from Pwllheli back to my home at the time in Colwyn Bay- as I was passing Llanaelhaern towards Trefor-down a hill in the sky to my left I saw a huge perfect giant capital Q shaped cloud, it was daytime and seemed to be directly over Anglesey, at the time I didnt have a camera, and although I had a mobile phone- camera phones were still in their infancy. As I drove by I KNEW this was something special, but had no way of capturing a photo. On my return I put the tv on to check the news but there was no report-I didnt have a computer at the time so no connection to the internet, however I but teletext on tv and there it was- a full report saying that it actually was directly above the Isle of Man (beyond Anglesey-but still in my eyeline), they also reported a Letter N in the sky somewhere down South on the same day. This has bugged me for years-but I can find no pictures reports or documents of this phenomenon- I wonder if you have heared similar stories or could find out other people who saw this. Sorry I can’t help you with this one – maybe someone reading this will be able to assist?